Bruce Lyons, the next recipient of BACDL’s Harry Gulkin Award. Congrats! 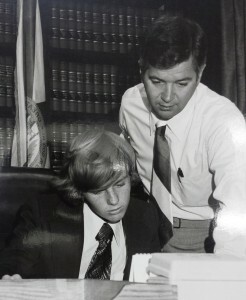 Seventeen year old Brian Reidy, “Public Defender For A Day“, back in April, 1976, with then PD Warner Olds. Old-timers will remember Brian’s Dad Jerry Reidy, a well-respected and long serving Bailiff, who couldn’t have been prouder when Brian passed the Bar eight years after this picture was taken. Coming Not So Soon – State Attorney Sarahnell Murphy? BACDL is one heck of a prosecutors association. I don’t know why they have such a bad reputation. So what else beside being old does it take to win award? Geez Brian was a handsome kid! He still should run for Judge!! Bacdl can’t even get a meeting w the CJ and the press doesn’t bother to call for quotes on court issues anymore. Zero credibility. SWAT teams training at main courthouse Thursday evening. Chief Judge Weinstein will be present asking them to vote for him and to call Judge Horowitz and ask him not to run for Chief Judge. Oh great the guy that heads Apple just announced he’s a fruit! Guys in my high school used to wait around until they were ripe on the vine. It was no big deal. Bruce Lyons is an amazing and skilled attorney and he has always been a credit to our profession. He has menored many young lawyers and has always been willing to give of his time when requested by his colleagues. I am happy to see Bruce get the recognition that he deserved and I thank him for the many contributions that he has made to lawyers throughout South Florida. I meant “mentored” of course. I’d like to be menored by Bruce. I was menored by three guys at once back in the 70’s when it was still safe. Hat’s off to Bruce. Nice job. I am very happy for your achievement. You richly deserve it! I agree. Bruce is a true gentleman and a great lawyer. Broward County would be not such a shithole to work in if there were more lawyers like Bruce Lyons. Bruce is a nice man and a gentleman. Please someone tell me when was the last trial that he won an acquittal for his client Misdemeanors, juvenile cases , and non jury trials excluded. Why go to trial when the Mikey Satz is my bestest friend in the whole wide world card is there to play? Bruce made his bones as senior attorney defending the likes of Lansky and Capone. This award is long overdue. Stop the griping. Lansky and Capone is that a law firm? 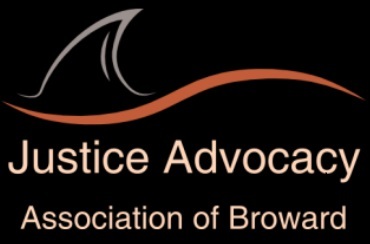 Why can’t people in the legal community in Broward be happy for one of their colleagues when they are recognized for their achievements over several decades of work? Why is it always the case that people on this blog think that it is more important to be critical and demeaning of others than complimentary and supportive? Why not celebrate someone’s success that deserves recognition and not rush to say the most offensive or demeaning comment about that person? Why? Congratulations Bruce. I am very happy for you.